This is a CBB61 4-wire capacitor with 5uf+5uf 4 WIRE ± 5% microfarad, 250V AC and 50/60Hz rating. The maximum operating temperature is +70°C. 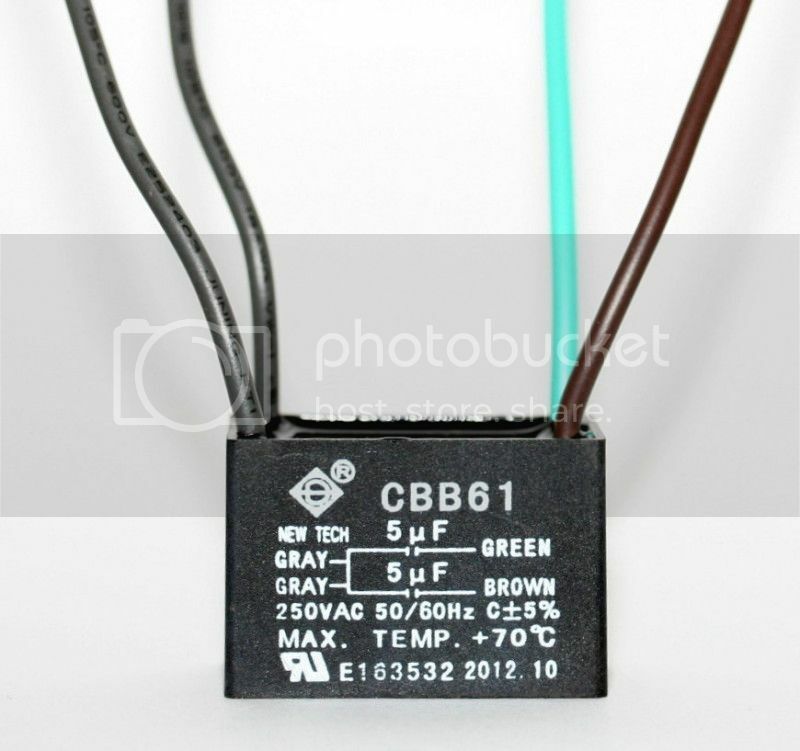 Before throwing away your favorite ceiling fan check the CBB61 ceiling fan capacitor first. It may be weak or burnt out. CBB61 capacitors control the start and stop mechanisms and fan speeds on many different types of ceiling fans motors using these types of capacitors.